It’s been almost a week since Beyoncé collectively snatched all of our wigs and edges with her legendary Coachella performance. If you’re still reeling from the headlining set, which featured a live drum line and paid tribute to historically Black colleges and universities (HBCUs) and Black Greek letter organizations (BGLOs), you’re not alone. 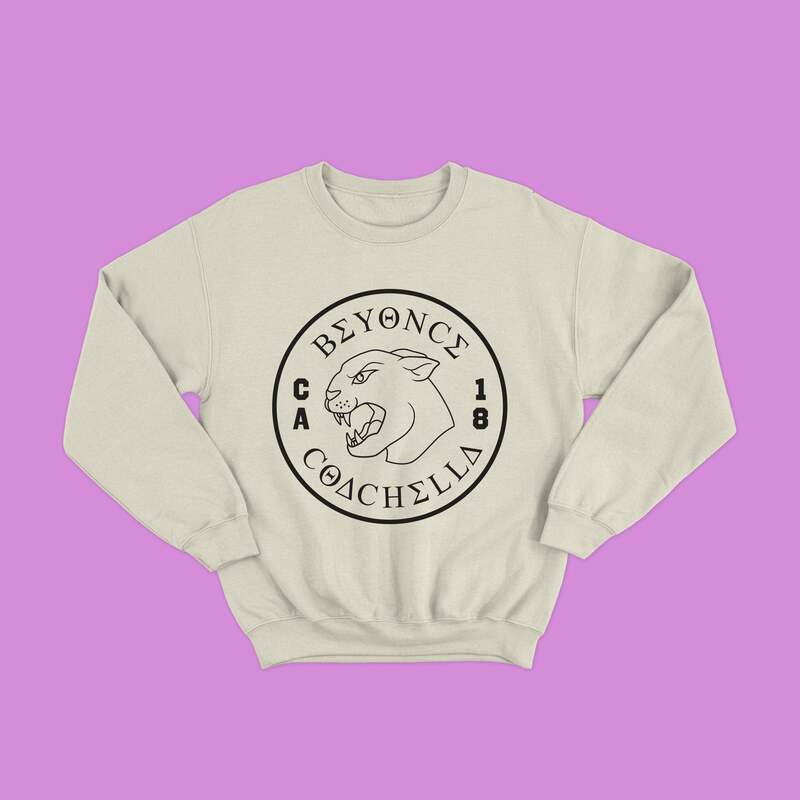 For those of us who couldn’t make it to the desert to purchase merch at her on-site booth, Queen Bey just made the pieces available for sale online with The Beyoncé Coachella Collection! More than just the peak levels of Blackness permeating the two-hour spectacle, though, was the fact that Beyoncé and her dancers slayed the costumes. Rocking custom-made Balmain costumes, Egyptian-inspired King Tut swimsuits, a yellow varsity jacket engraved with her own fictional Greek letter symbols, BΔK, the singer had us all wanting to enroll in her H-Bey-CU. 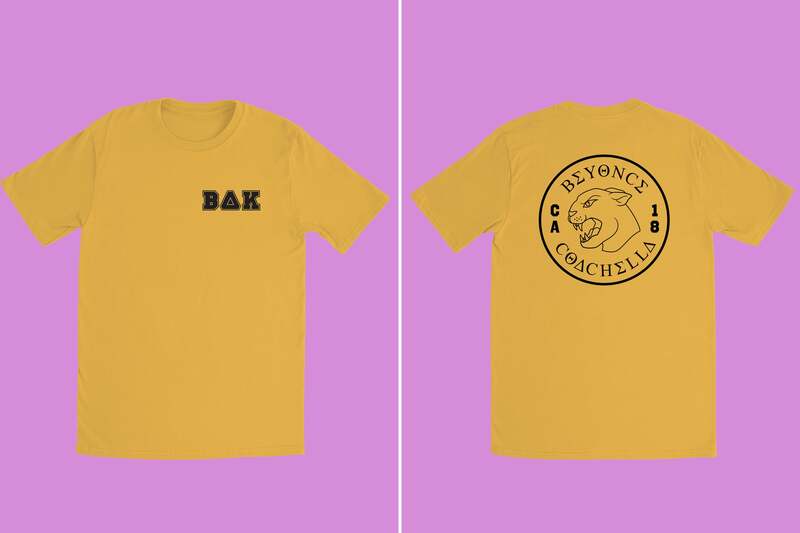 Now, you, too, can look stylish and straight on the yard in your #Beychella gear this spring. 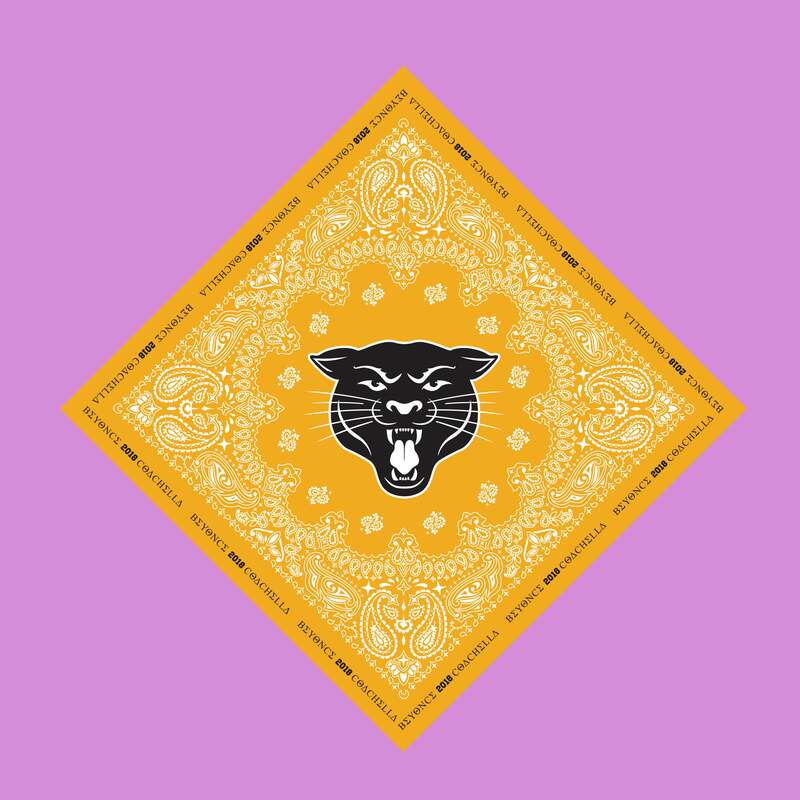 Gold tee featuring the BΔΚ logo on the front left chest and panther icon on the back. 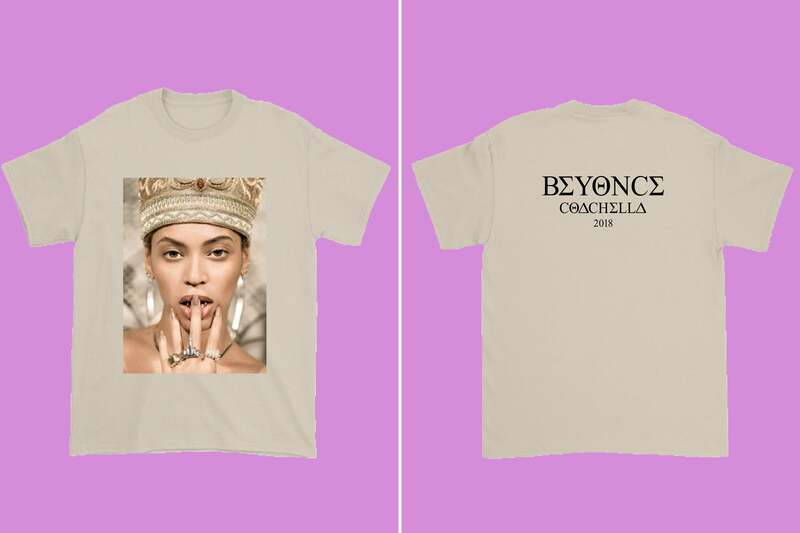 Sand-colored tee featuring a photo of Beyoncé in the style of Nefertiti on the front and "Beyoncé Coachella 2018" on the back. 100% pre-shrunk cotton. 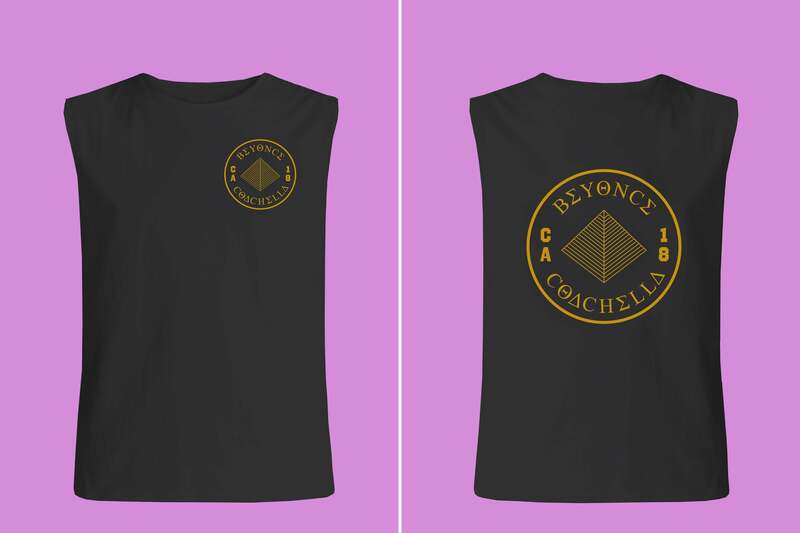 Black muscle tank with raw armhole edges featuring the pyramid Coachella design on the front left chest and on the back. 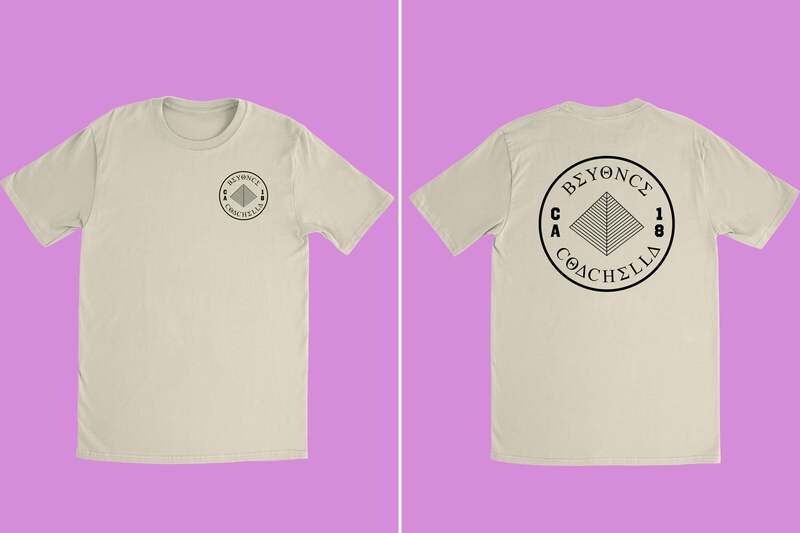 Sand-colored tee featuring the pyramid Coachella design on the front left chest and on the back. 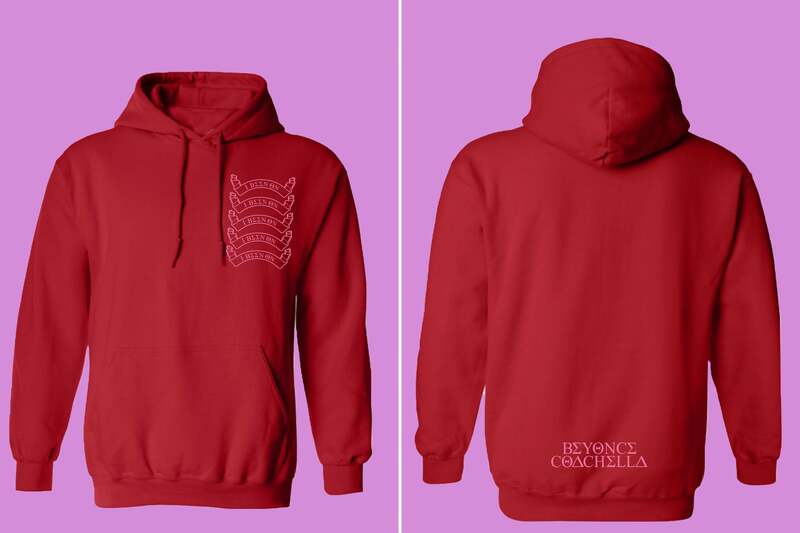 Red pullover hoodie featuring, "I Been On" scroll print over the front left chest and Beyoncé Coachella on the lower back. 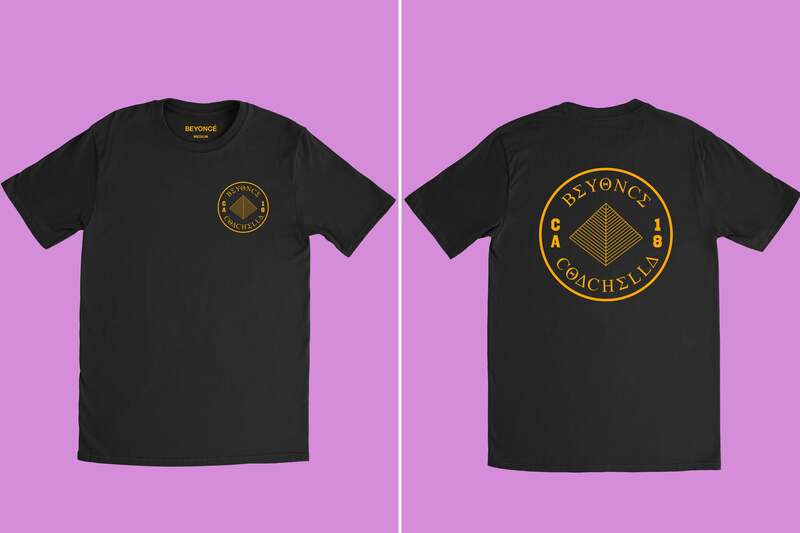 Black tee featuring the pyramid Coachella design on the front left breast and large on the back. 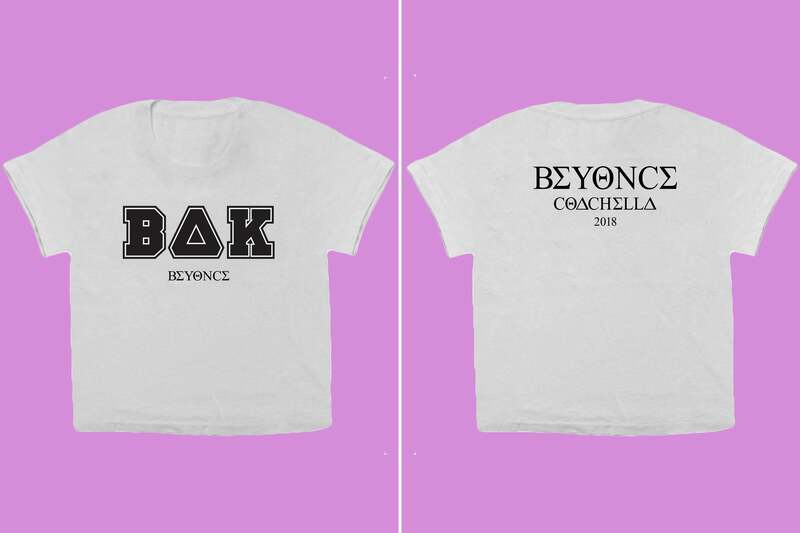 White crop tee featuring the BΔΚ logo on the front and "Beyoncé Coachella 2018" on the back. Black cotton/poly blend fleece shorts featuring "I Been On" scroll print down the right leg. 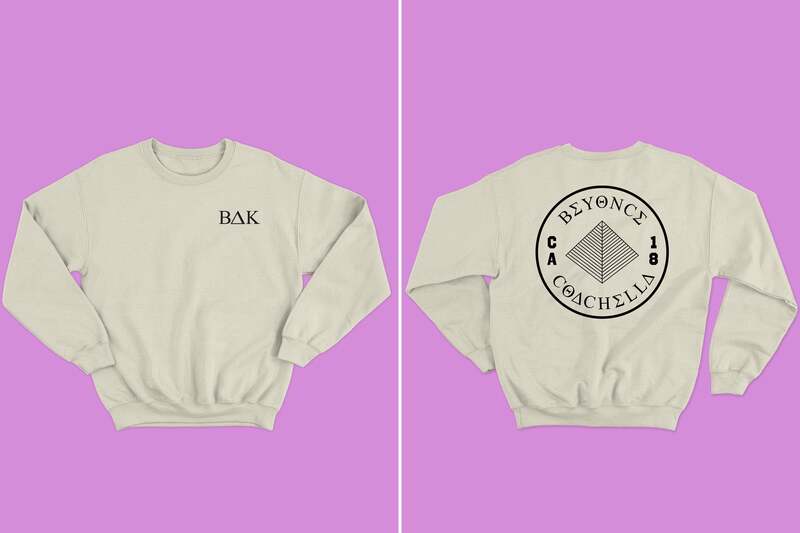 Sand-colored pullover sweatshirt featuring the BΔΚ logo embroidered over the left chest and the pyramid design printed on the back. Black tee featuring the Panther icon on the front left chest and on the back. 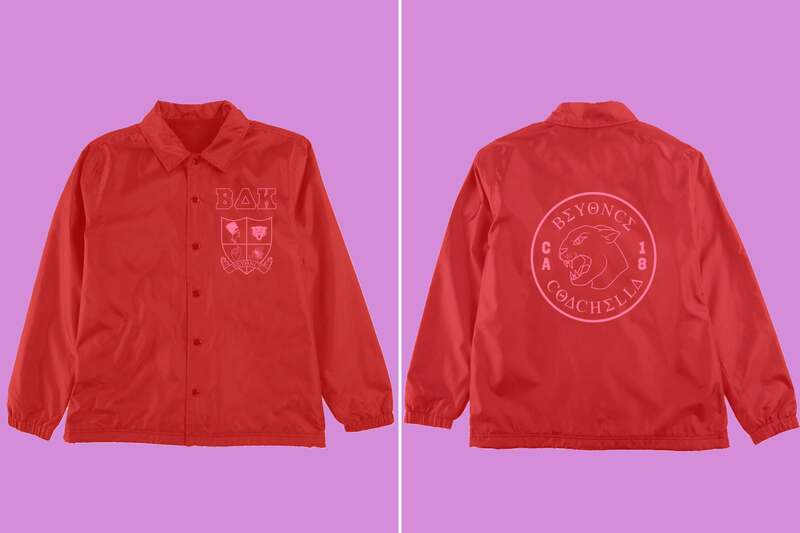 100% nylon red waterproof windbreaker featuring Beyoncé's Coachella coat-of-arms over the left breast and panther icon on the back. 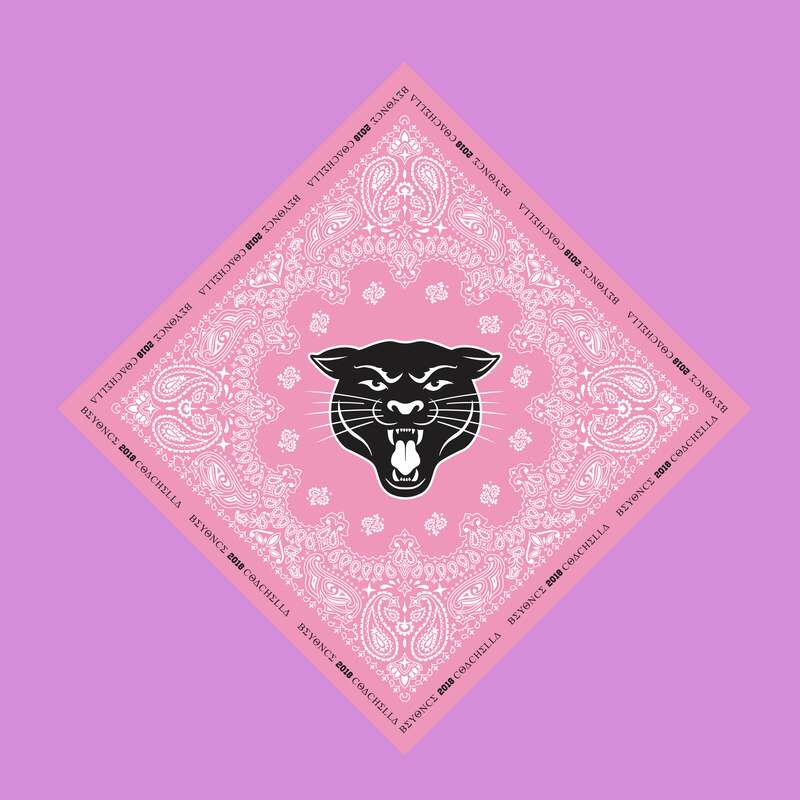 This bundle includes one light pink bandana and one athletic gold bandana. 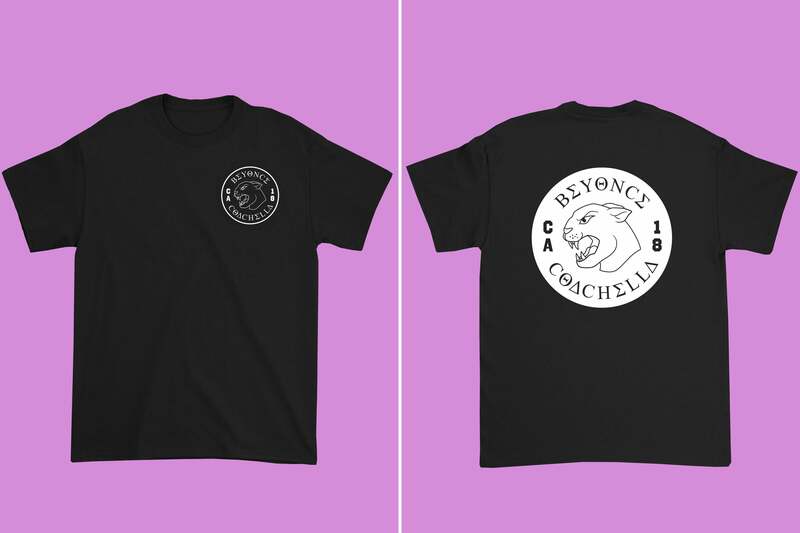 Both feature the panther icon in the center and "Beyoncé 2018 Coachella" around the edge. 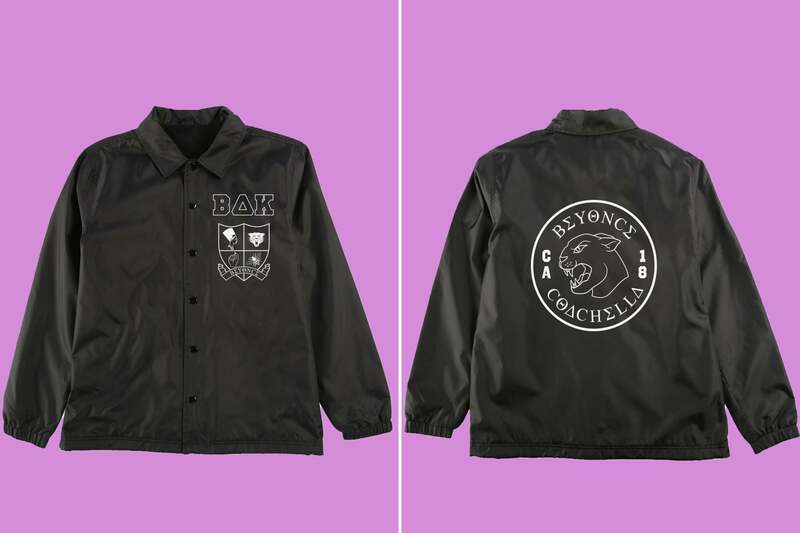 100% nylon black waterproof windbreaker featuring Beyoncé's Coachella coat-of-arms over the front left chest and panther icon on the back. 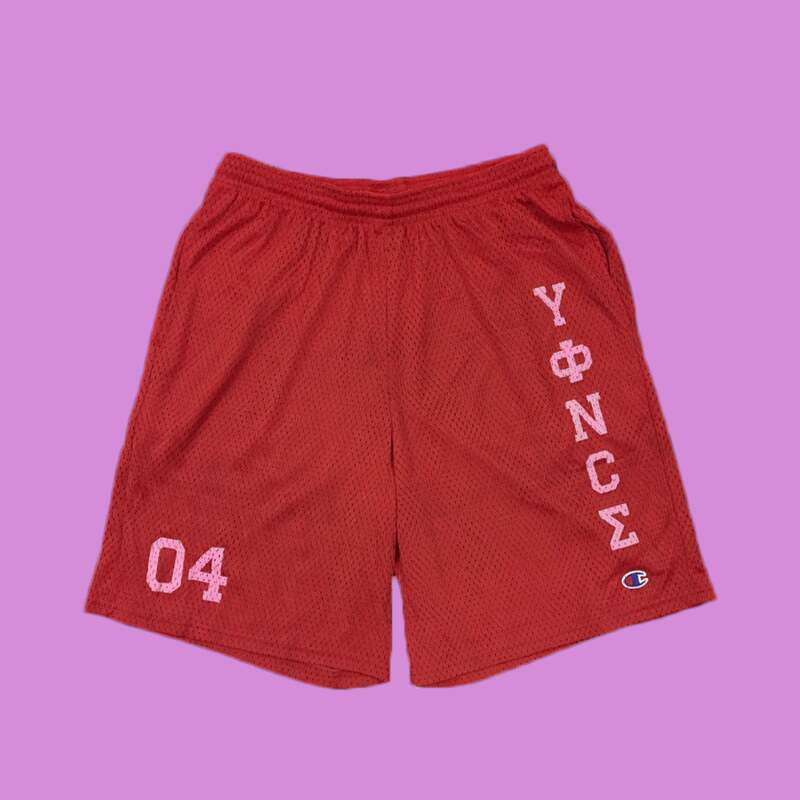 Red Champion branded mesh shorts featuring the Yonce logo down the left leg and "04" on the right leg.